Orange County vital records, including birth, marriage, and death records, can be obtained from the Chelsea town clerk. The town clerk can be reached 8:30 am to 2:30 pm on weekdays by telephone (802-685-4460), email (town.clerk@chelseavt.us), or by regular mail. 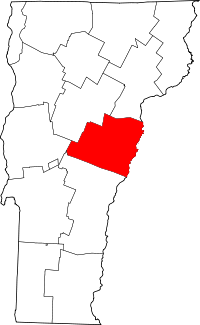 As every town clerk maintains birth, death and marriage records for that town, the clerks of Bradford, Braintree, Brookfield, Corinth, Fairlee, Newbury, Orange, Randolph, Strafford, Thetford, Topsham, Tunbridge, Vershire, Washington, West Fairlee, or Williamstown may also be contacted, as can the Vermont State Archives in Montpelier, which has records dating back to 1760 and will search microfilms for free informational copies (charges apply for certified copies). Note: Fax number is the same number as the voice line. Call first if sending a fax.